Halloween marketing is peaking around the second season of hit Netflix show, Stranger Things, which premieres this Friday, according to new research. The study, from Mailjet, looks at how brands can stay safe from alienating audiences, when jumping on growing seasonal opportunities as audiences and trends change. 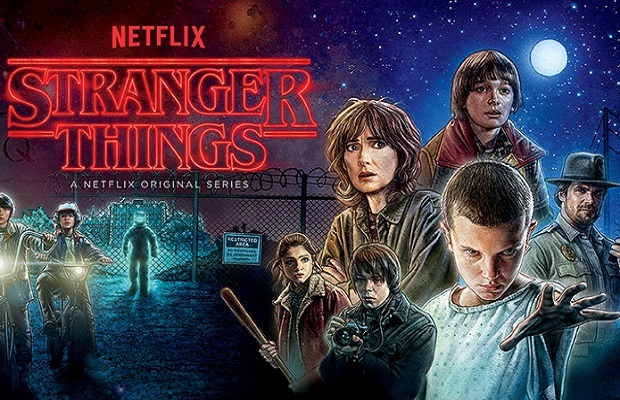 In the lead up to the hotly-anticipated season two launch of ‘Stranger Things’ this Friday, tests among Mailjet’s database of 25,000 subscribers found that engagement with Halloween marketing peaks when the show is mentioned as a hook, with engagement lifting by 74%. In the UK a more modest but notable bump of 10% was measured across some 1,335 respondents, with over a quarter of respondents (27%) opening messages promising content relating to the show, proving its transatlantic appeal. However research revealed that Halloween still remains a predominantly US focused event, suggesting that UK consumers are still not fully on board with the month of October being saturated with ‘spooky’ marketing. When mentioning ‘Halloween’ in a subject line a brand can achieve a 68% increase in open rates for its US based marketing efforts, but engagement drops by at least 7% in the UK. One brand that has managed to excite both UK and US consumers is Starbucks. As the brand re-introduces its line of pumpkin spiced beverages, tests carried out in the UK prove the value of seasonal product marketing with email open rates rising 10% in instances where the popular flavouring is mentioned. In the US, email subject lines mentioning pumpkin spice generated the highest open rate, a staggering 90% higher than the open rate for a regular email sent around the same time to the regional subscriber base of 11,000 respondents. Of course, what works in one market can have scary consequences in another. The data re-enforces marketing superstition around Halloween in Europe as drops in engagement were universal in Spain and Germany with Halloween themed content. Looking at the results thematically, many of the poorer engagement levels are from content related to perhaps the least popular aspect of Halloween – trick or treat. Even in the US, fewer than a quarter (24%) of respondents chose to take a look at an email pertaining to the childhood activity. This dips to just 19% in the UK. On the other hand, the research suggests consumers are receptive to Christmas content this early in the year. By combining festive themes of both Halloween and Christmas, in particular, playing off the cult film ‘Nightmare before Christmas’, open rates rose to 25% in the UK and 28% in the US. The research was conducted using a segment of Mailjet’s proprietary database consisting of 25,000 recipients across the UK, US, France, Spain and Germany.